Who gave Mickey Mouse his unique voice? Today's Wonder of the Day stars a black mouse. He can talk, sing and dance. You'll usually find him wearing red shorts with two large buttons in the front, big yellow shoes and white gloves. Who are we talking about? Mickey Mouse, of course! Would you believe that Mickey Mouse is over 80 years old? It's true! 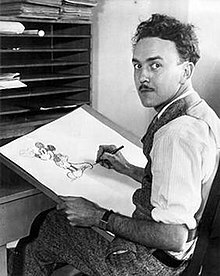 He was created by two great wonderers — Walt Disney and Ub Iwerks — at The Walt Disney Studio in 1928. Since he's a cartoon character, he looks as young today as he always has! Mickey Mouse made his debut in November 1928 in an animated cartoon called Steamboat Willie. Since that time, Mickey Mouse has become one of the most famous and easily-recognizable cartoon characters around the world. Since 1928, Mickey Mouse has starred in over 130 films. Most of them were short films, although a few of them have been full-length feature films. Mickey Mouse's Lend a Paw won the Academy Award for Best Animated Short Film in 1942. 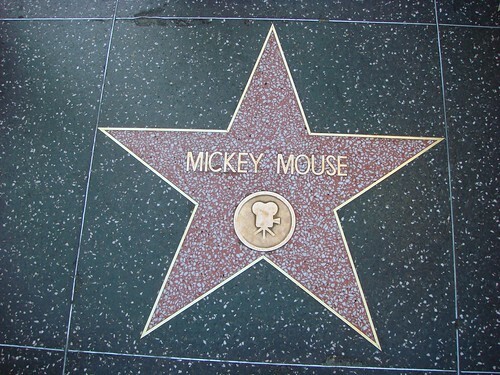 In recognition of Mickey Mouse's popularity, he became the first cartoon character to receive a star on the Hollywood Walk of Fame in 1978. Mickey Mouse was a star in more than just films, though. Since 1930, he has been featured in comic strips, comic books, television shows, video games, theme park rides and more merchandise than you could imagine! We wonder if he would've been as popular if his name hadn't been changed, though. Walt Disney originally wanted to name him Mortimer Mouse. Disney's wife, Lillian, convinced him to change it and that's how Mickey Mouse came to be. Today, you can usually find Mickey hanging out with his girlfriend, Minnie Mouse, his pet dog, Pluto, and friends like Donald Duck and Goofy. Do you have a favorite Mickey Mouse cartoon or movie? There are many to choose from. A lot of people consider Fantasia to be one of their favorites! 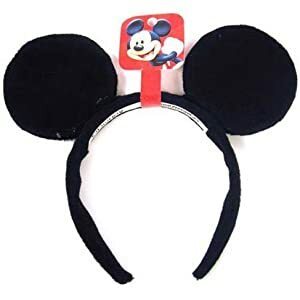 In addition to Mickey Mouse's signature circular ears, one of the most unique things about Mickey Mouse is his shy, high, squeaky voice. Walt Disney himself was the voice of Mickey Mouse up until the mid-1940s. When he got to be too busy running The Walt Disney Studio to voice Mickey Mouse, he handed over Mickey's voice duties to actor Jimmy MacDonald. Tomorrow’s wispy Wonder of the Day is way up high in the sky! Ready to have some fun that's all about Mickey Mouse? Just jump online to check out tons of cool games, activities and crafts at the Mickey Mouse Clubhouse and the Disney Mickey Mouse page. Have you ever met Mickey Mouse in person before? If you've ever been to Disneyland or Walt Disney World, you may have gotten to meet Mickey and even shake his hand. If you have, be sure to tell your Wonder Friends all about it. Post a comment or a picture of you with Mickey on Facebook! We're not sure--great question for theWonder Bank! I love Disney! I'm so glad you were able to do a WONDER about Disney and Mickey Mouse! I have been a Disney-Fan ever since I first watched a really good Disney Movie. Tangled! I already know a lot about Walt Disney and with your help I know more! I am writing about Walt Disney in school! I am glad I can use your articles as help to write it. Also quick question. Could you maybe do an article about OSWALD THE LUCKY RABBIT? I always wanted to know more about OSWALD that I already do. That's great, Isabella! We are so glad that our article was helpful for you. You can submit your idea for a Wonder of the Day to our Wonder Bank, along with anything else you might be WONDERing about! Thanks! He was a creative genius, that's for sure! Thanks for checking out this Wonder, Aliyah! What about Oswald didn't he come first like a lot more like Micky mouse characters? & who came first Oswald or Micky? Good question! Oswald did come first and he was one of the first animated characters with personality. How much he influenced the creation of Mickey is hard to say but good on you for knowing about him! Classic. Goofy and Pluto are both dogs, right? Why can't Pluto talk? And why is he Mickey's pet? Yes, true. Pluto and Goofy are both dogs. I have always WONDERED the same thing. I hope the Disney company will tell us soon. thanks this help me out a lot. You're welcome, Jackson! We're so glad we could help! In class we learned a little about steam boat willie! Also has anyone wondered how they make these articles? This was a really great article, considering I'm obsessed with Disney, even though I knew this, I really wanted to see what you all had to say about it! Yay!!!!! Mickey mouses first cartoon was plain crazy. Hello there, Mrs. Phillips' WONDERful Class! We hope you're having a WONDER-filled day! :) Thanks for sharing what you learned from this Wonder. Do you think Mickey Mouse would have become quite as popular if Walt Disney kept his name as Mortimer Mouse? Also, have you heard about oswald the lucky rabbit. Love him! Even though Stitch is my fave. Same here stich is my fave too! We're glad you joined the discussion, Tony! Visit again soon, we hope! Thanks wonderopolis!!!!!!!!!! I'LL NEVER UNLIKE YOUR WEBSITE! Hey! It's me, Traisha! I'm back! My class loves your website! and I hope next year when I'm in 6th grade my new class will look at your website and explore and learn new things!!!!!!!!! WONDEROPOLIS IS AWESOME!!!! -Traisha!!!!!!!!!!! I'm going to Disney World this summer. Do you think I'll find more things about Mickey Mouse? I love, love, love, love Mickey Mouse and Pluto and Minnie Mouse!!!!!!! I watched it this morning. This is cool. Mickey Mouse is on the website. I went to Disney World before. Happy Thursday, Wonder friends! we LEARNED Walt Disney invented Mickey Mouse. Mickey Mouse is over 80 years old. Walt Disney's wife made up the name Mickey Mouse. Mickey Mouse had A star on the wall of fame in Hollywood. They used to name him Mortimer. Jimmy McDonald got Micky Mouse's vows. Walt Disney really vows is for Walt Disney. Hi Wonderopolis! I did not know that Mickey Mouse was in other shows besides Mickey Mouse Clubhouse. It was cool to find out that he was in other shows like Steamboat Willie. That is so interesting! I love how you explained that! I like Pluto because he is so cute! I wonder why they made Mickey Mouse? Why did they make Minnie Mouse? My sister likes Mickey Mouse so much. She likes Minnie Mouse. HEY WONDEROPOLIS, WHICH WONDER IS THE ONE WITH MOST COMMENTS? I THINK IT'S THIS WONDER????? I love goofy, donald duck, minnie mouse, and mickey mouse and pluto, and max, goofy's son, also daisy duck!!! All of them actually everyone!!!!!!!!! Wonderopolis' birthday is my birthday!! Why did you start wonderopolis? Hi, wonderopolis. I like Mickey Mouse. Wow, I love this. I hope tommorrow's wonderopolis is about Muhammad Ali, that will be cool. How old are you, wonderopolis???? I think the wonder of the day was interesting. I always see that Steamboat Willie thing on Disney Channel and I always wanted to know what it was and now i know! I always spend time with my little brother in the morning and he sometimes wants to watch Micky Mouse Club House. Thanks for teaching me more. See you guys tomorrow. BYE! Why is the clip in black and white? I love that video. It was cool because Micky Mouse was driving a steamboat. I took a picture with Micky Mouse. 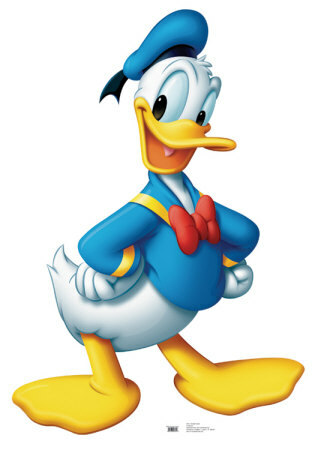 (Emily) One of my favorite characters is Donald Duck. (Evan) Have a good day Wonderopolis! I think tomorrow's wonder is going to be about turtles!!!!!!!! I don't know much about turtles. I think tomorrow's wonder will be about zebras!!! I'm confused about zebras!! Awesome wonder. I love this wonder. I love this wonder. I love this wonder. I love this wonder!!!!!!! I know that now!!! That is awesome and cool. I LOVE THIS WONDER!!!!!!!!!!!!!!!!!!!!!!! Cool video. It needs to be longer, then it would be better. Laugh Out Loud. I love this Wonder!!!!!!!!!!! Wonderopolis, we really liked learning about Mickey Mouse. Here are some of our guesses for tomorrow's wonder: How do clouds form? Why are clouds in the sky? Have you ever seen a hot air balloon? Why do clouds come in different shapes? How do clouds move? We love Mickey Mouse! We think tomorrow's wonder of the day will be about clouds. I agree with Rahul. I think that it is about clouds, also! I like watching Mickey Mouse Club House! That is really cool that you have that birthday, then and I have seen the why are flamingos pink? I saw that one. MICKEY MOUSE CLUB HOUSE!!! Hot dog hot diggity dog hot dog hot dog hot diggity dog!!! I was right! I think tomorrow's wonder is about clouds. P.S: I've met Mickey Mouse in Disneyland!